A delicious Thai salad, Som-Tum-Kao-Pod is a corn salad that combines all four tastes - sour, chilli, sweet and salty. 1. Pound garlic, chilies and dried shrimp with mortar and pestle until mushy. Add long bean and carrot. 2. Add all seasoning from tamarind, fish sauce, palm sugar and lime juice. Pound gently until homogenous. 3. Add salted egg yolk and mix well. Toss in corn and transfer to a serving plate. 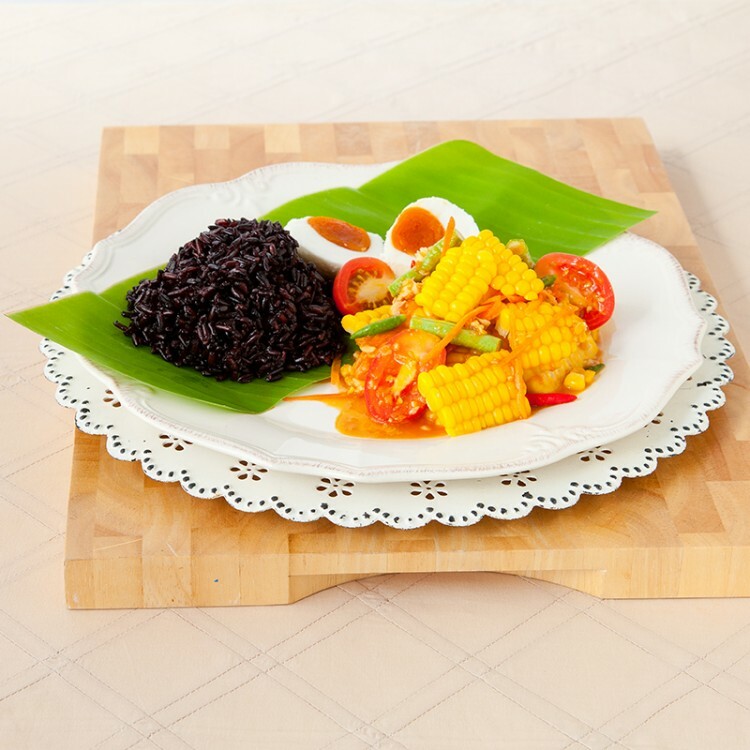 Serve with warm Black Sticky Rice.